5/8" Tip wet erase pens are sold in packs of (3) for convenience. Writing washes of with a damp cloth easily for updating advertisements quickly. These wet erase pens are bright for creating a vibrant advertisement. 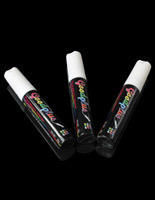 There are a number of business establishments that use these fluorescent chalk board markers such as restaurants, schools, retail shops, and more. 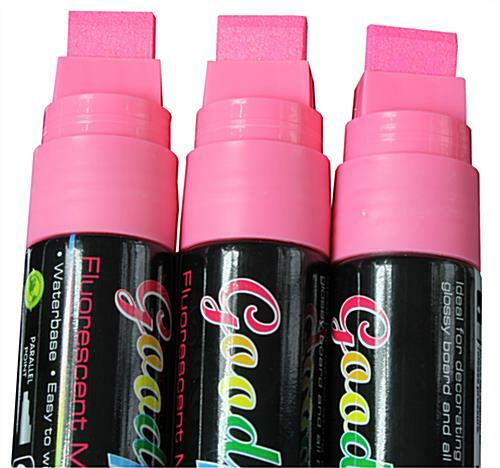 These bright pink wet erase pens are made for non-porous surfaces such as glass, windows, glossy boards, and more. Many customers also purchase these chalk board writing tools for write-on LED signs. 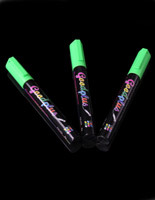 These wet erase pens have a glowing effect on illuminated signs to really captivate patrons' attention. The fluorescent color of this instrument works best on glossy black surfaces. 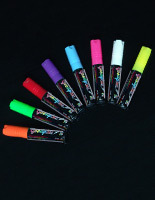 These chalk board bright sticks are wet erase pens that are easy to use and clean. Customers just need a damp cloth to wipe the surface clean. Wet erase pens allow users to change messages as often as needed. 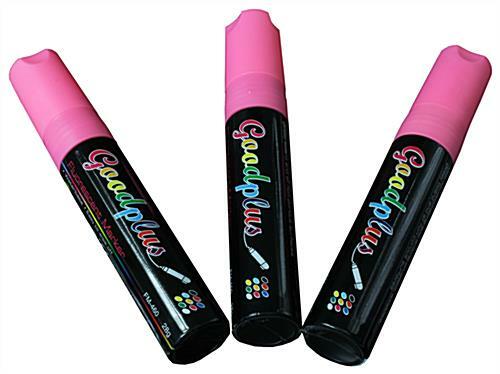 Each liquid chalk marker has a 5/8" flat tip. These wet erase pens with wide tips are the ideal size for bold messages on a menu board. Traditional chalk often leaves a dusty residue and wipes off by someone gracing it gently, these bright sticks will last longer and look much cleaner. These bright sticks are wet erase pens that are sold in packs of (3) to ensure a spare is available when the ink runs out of one. A great benefit of these writing tools is that they are non-toxic. 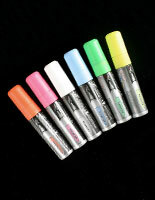 These neon markers are wet erase pens that are inexpensive and water based, so they are safe for home or business use. 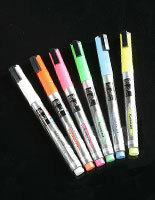 These fluorescent writing instruments dry quickly so users do not have to worry about messages running and looking messy. 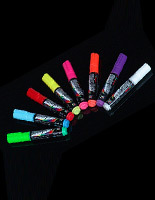 Buy chalk board markers for advertising today.